I purchased the rose “blue for you” last year as I was intrigued by the colour advertised. 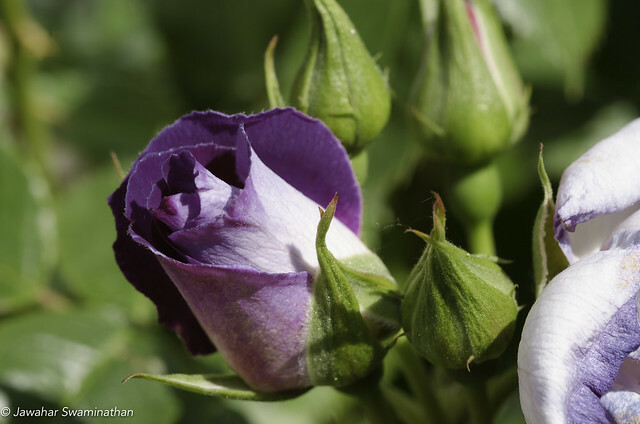 This rose is one of a few varieties of genetically engineered roses to produce delphidin – the compound that imparts blue colour to violets and other blue flowers. Finally spring arrived and the rose has flowered. 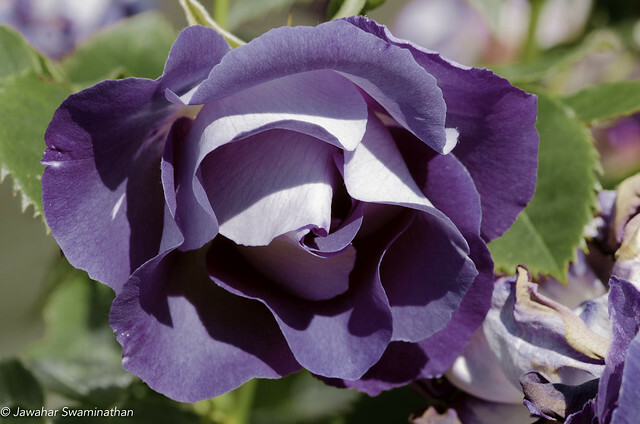 It is not strictly blue but more a lavender/purple but is the closest I have seen any rose come to the as yet impossible “blue” colour. Larger versions of these photos are available from Flickr by clicking on the photos. Comments welcome! As most everyone else my visit to Keukenhof Tulip gardens 3 years ago resulted in the purchase of tulip bulbs. Many of these lasted one season only but the one below has been a repeat flowerer. 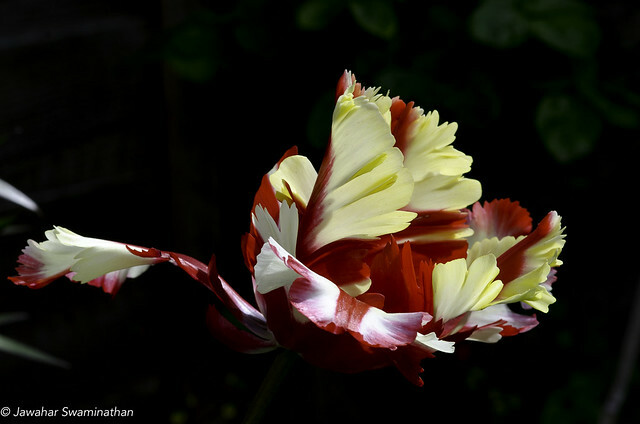 The is the Estella Rijnveld Parrot Tulip with bright red and creamy wavy petals. They are indeed spectacular, are they not? 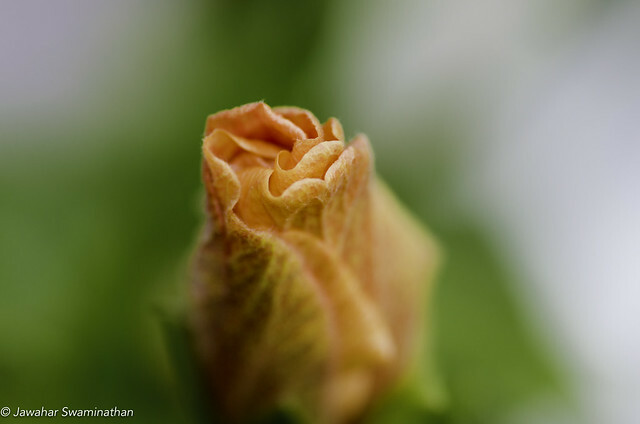 Click on the picture for a larger version on my flickr page! 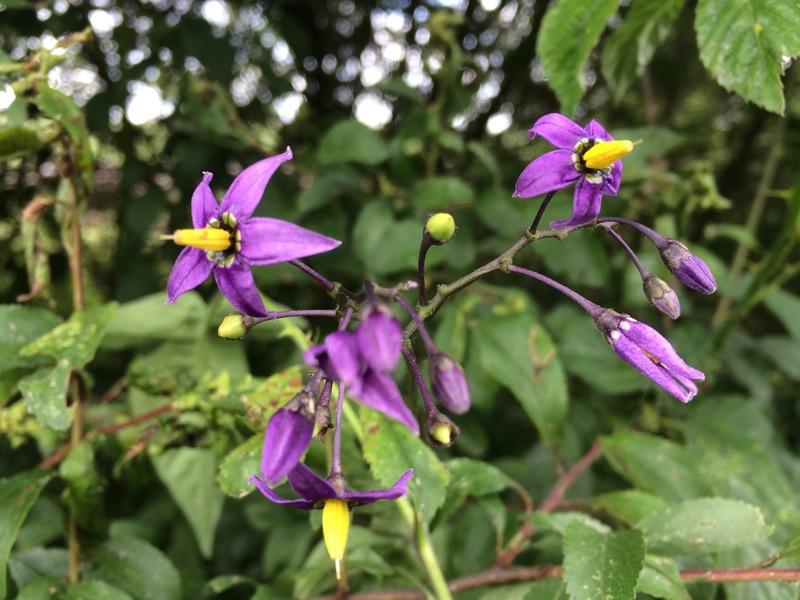 A friend gifted us this plant many years ago, and it makes its yearly appearance every spring in one corner of our garden. The flowers are beautiful pink and white and arranged in long pendants. 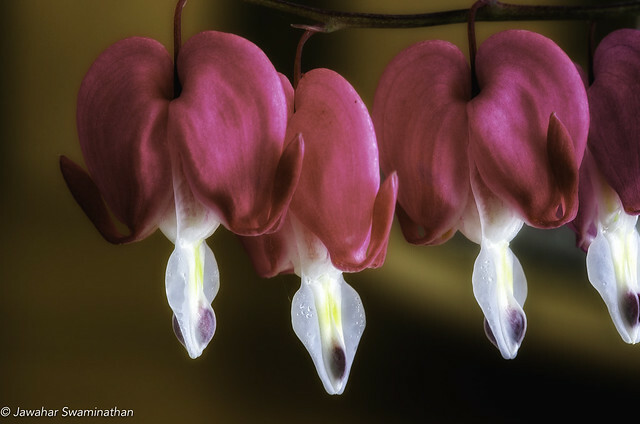 The bleeding heart plant (Lamprocapnos spectabilis) has other common names including “lady in a bath”. Please click on the picture for more options to see this photo on Flickr. Posted on June 8, 2015 Categories Macro, Nature, PhotographyTags bleeding heart, Cambridgeshire, Flora and Fauna, Flower, long exposure, Macrophotography, Nature, Nikon D7000, pink, Plant, springLeave a comment on Bleeding Hearts! This a Ranunculus plant I found growing in a weed patch and rescued! The plant has settled in nicely in a pot and has provided me with these large glorious bright orange flowers. View in large format by clicking on the photograph. Shot with a Nikon D7000 with a 105mm f/2.8 lens. 1/125 f/11. 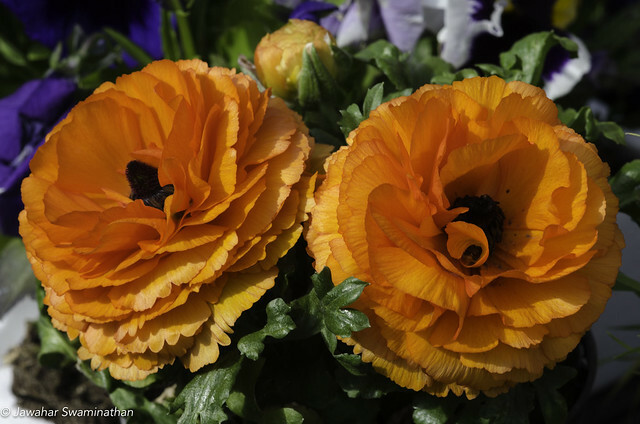 Posted on June 7, 2015 Categories Macro, Nature, PhotographyTags Adobe Photoshop Lightroom, Cambridgeshire, colourful plants, Flower, Macrophotography, Nature, Nikon D7000, orange flower, ranunculus, spring2 Comments on The future is…Orange!